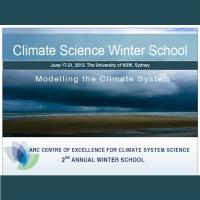 The ARC Centre of Excellence for Climate System Science will host its 3rd annual winter school on June 16-20, 2014 in the Research School of Earth Sciences at the Australian National University. The 2014 winter school theme is Geophysical Fluid Dynamics. This is a high-level education program for honours and graduate students interested in climate science. It will be of considerable relevance to those working in the atmospheric and ocean sciences, and also those in land related disciplines with interest in the planetary boundary layer and land-atmopshere feedbacks. The winter school will consist of a series of lectures and lab sessions delivered by Centre of Excellence researchers from our five universities and partner organisations. 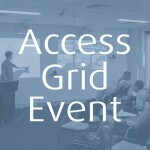 An advanced Python tutorial will be delivered by our Computational Modelling Support Team. There is an expectation that students undertaking this winter school will be well-versed in the mathematics underpinning fluid dynamics, including partial differential equations and vector calculus. Some funding is available to support attendance. Priority will be given to honours and graduate students working on climate science problems. The number of places is strictly limited. 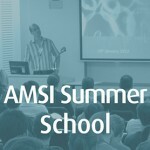 Please note that this event is not eligible for AMSI Travel Account support.